Thousands of people came out for the three-day central Communist Youth of Greece (KNE) Festival that was held 20-22 September 2018, this year dedicated to the 100 years of the KKE and 50 years of the KNE. The KNE Festival that first traveled to all the major cities of Greece, with dozens of political and cultural events, culminated in the events held at the “Tritsi” Park in Athens. There KNE built an entire “city” with music stages hosting concerts as well as multiple discussions; the huge bookshop featuring political and progressive books, the “International City” where 40 communist and anti-imperialist youth organizations from all over the world participated, and the exhibit dedicated to the 100 years of the KKE and the 50 years of the KNE. On Saturday the huge awe-inspiring political gathering was addressed by the GS of the CC of the KKE, Dimitris Koutsoumpas and greeted by the Secretary of the CC of the KNE, Nikos Abatiellos, as well as by the Palestinian activist, Ahed Tamimi, the 17-year old activist who was held for eight months this year in Israeli prisons, who became a symbol of the struggle of the Palestinian people against the criminal Israeli occupation, who participated in the Festival, invited by the KNE. “I greet all of you here at the Festival. I want to thank all of you for the immense support you have given towards the Palestinian cause. I thank you for your powerful moral stance that gives great strength to our struggle. First of all, I would like to congratulate the KKE on its 100 years of action and the 50 years of the KNE. We always say that we gather strength from the strength and support that you give us; however, we don't consider you only as supporters of our cause but as partners in the struggle and in our struggle. Despite the suffering that each Palestinian undergoes every day, we don't view ourselves as victims, but as fighters for freedom and the cause. We always say that the peoples and our people can achieve change and can bring the struggle to fruition; for this, free people all over the world must join together to put an end to exploitation, capitalism and colonialism and to end imperialism. We thank everyone for the support you have given us. Your stance means a lot to us and gives me great strength to return to my homeland, to my country and to continue the struggle against colonialism. In closing, I would like to say that we come from the land of peace, from Palestine, which at no time had peace. If there is no peace in Palestine, there will be no peace ever in the world. The Secretary of the CC of the KNE, N. Abatiellos commented, among other things on the action of the KNE: “We erect obstacles EVERYWHERE against the effort of the system and its parties to deceive the youth. These efforts will strengthen. We lead the way everywhere in order to reveal the false hopes the government and the other parties are sowing; we take the lead in order to create spots of resistance against the anti-people policies, collective struggles for the contemporary needs of the youth. To strengthen the anti-capitalist struggle with the participation, the liveliness, the militancy of the youth of working-popular families.... With a strong workers' movement, with a more powerful social alliance, our generation can be the generation of overthrows! (…) Together with the KNE and the KKE, the youth can become stronger, to struggle for a life with real freedom, to satisfy their contemporary needs. Here we are! Here are the 100 years of heroic, militant, vanguard action of our party! Here is all 50 year-old history of KNE! There is only one way; only forwards, only towards victory! We walk into a new century in the history of the glorious KKE, placing the bar even higher. Equipped with yesterday’s experience and conclusions. “To win the fight for a world worthy of our dreams, worthy of our people” (quote by Nikos Belogiannis’ speech during his trial before being executed in Kaisariani,1952). We are the seed ploughed by the sowers. Children, grandchildren and great-grandchildren of the revolutionary action of the 20th century. Of the strikers of May 1936, of prisoners in exile islands, of Akronauplia and Gyaros. Of Makronisos and Leros. Of those who transformed the rock of the exile to a canvas. And their NO to the guards turned into a song, a decision and experience. Of those that standing in front of the firing squad placed above all the honour of the Party. Of the fighters of Athens and Piraeus in December 1944. Of the fighters, men and women, of the glorious Democratic Army of Greece. Of the communists in the following years who managed to keep “nests of water in the flames”. The communists that in the hard conditions of illegality decided, not just not to retreat, but to found the Communist Youth of Greece. Those who held high the flag of hope and class struggle while the bourgeois historians were declaring our defeat. We continue the same path. More experienced, better equipped, better prepared. Now this path is ours. And we will follow it till the end. Because we are certain that everything will change! What today seems still, will move forwrad. Those who today stay silent will speak up! And they will shout: This rotten world, can, must change, and will change! This flame of the struggle is kept burning and is passed from one hand to another, from one generation to the next, by the KNE and Odigitis festival for the past 44 years. Today, we have here with us the generation of the first Festival. Alongside the young communists of today we have the comrades, men and women, children of our people, who were victorious in the struggle against the junta! The cadres from the ranks of the Party are here, who in September 1991, a month after the regroupment of KNE, when they could be counted on the fingers of one hand achieved the impossible: They organised the 17thFestival, once again in Peristeri, they sent a hopeful message, they proved wrong all those speculating the end of KNE. The Festival justifiably gained that position in the minds of the people. It became a true political-cultural institution for the youth of the country. The Festival stages have been honoured by the most prominent artists of our times. We can say that we have achieved the goal which was set when the celebrations for the 100 years of our party began. To upgrade the Festival, to include more types of art, its activities to be based on and to respond to the interests and the concerns of the youth, its content to be more advanced and vanguard. To make known to the new generation all the great work that numerous artists have created throughout the years. And first and foremost, the course and evolution of class struggle in our country and internationally as well as the vanguard action of the KKE and the labour-popular movement. But even more importantly the Festival brings the youth closer to the revolutionary politics and KKE's vanguard ideology. It sheds light to the only realistic and hopeful road for the youth. The road of confrontation and overthrow, the road of victory. We know well that in order to shed light to this road, we need to overcome, one by one, the obstacles put in the minds of the youth by the prevailing system and its centres of power. We need to make useless one of the most deceitful bourgeois’ arguments that “capitalism in Greece is not functioning properly” , that it needs some adjustments, some reforms as the bourgeois say to fool the workers, in order to make Greece supposedly a “normal” country with a “normal” capitalism. They want to hide the fact that this rotten exploitative system, everywhere and in all countries, creates the same problems. Poverty, unemployment, crisis, wars for the many, enormous profits and prosperity for a handful of parasites. And Greece, the country of poverty and injustice, is not a special case but a miniature of the modern capitalist world. 1 out of 5 children are poor. In the USA, there is also a new category of working people, the “working poor”. Their wage is not sufficient for satisfying the elementary human needs, they eat in soup kitchens. they live in refuges. In Germany, the supposedly top "normal" country of the EU, 1 million pupils cannot buy the school necessities because they are poor. Their schools are understaffed. In order to operate 40.000 teachers posts are covered by students or pensioners. In the UK, also a supposedly "normal" country, the homeless are doubled surpassing the 300.000 people. If you lose your job, you risk sleeping in a carton box. In Sweden, characterised as the exemplar country by some social-democrats, girl students turn to prostitution to cover the cost of their studies, while midwives train pregnant women to give birth in a car, due to shortcomings in maternity hospitals. Poverty, unemployment and austerity is the normal situation in capitalism. The truth of the matter is, that the this normal situation exists only in the minds of those promoting the fairy tale of “humane capitalism” which is almost approached but never reached. In all these “normal” capitalist countries, on one side we have the exploiters and on the other the exploited. On one side we have those who create all the wealth with their minds and hands and on the other side those who steal all the wealth without working. The freedom to exploit labour without any limits, and to usurp all the wealth produced. To kill each other in order to exploit new markets and territories, even through wars ahile peoples being the victims. Really, what can a young person do freely today? Is he or she free to be educated? Is he or she free to develop all its traits? Is he or she free to work on his or her field of study? Or even to enjoy in his or her own way arts and sports? To what extend a is a young person free when the system advices him or her to further lower the expectations, to accept even worse terms of employment? To what extend a young woman is free when she is forced to sign that she will not be pregnant when sh is hired to a new job? Whatever freedoms are recognized by the system for the young workers are limited by the freedom of the capitalists to exploit. At the same time, these freedoms are aggressively violated when they dare to question this exploitative system. However, the real freedom for the young people, starts with the questioning of this miserable reality and continues with the organization of the struggle aiming at the real enemy, its system and its power. This path is the realistic one. Because, realism is what benefits the children of the working class. Whereas, for those who support the system, realism means that our generation has to work and live with worse terms as compared to the precious ones. It also means to discredit the rights and achievements of our parents, claiming that these “abnormal” and “exceedingly high” rights led us to the crisis. They say: do not complain, do not claim demands. Someday the maximisation of profits may co-exist with youth’s rights. Of course, we know that this will never happen and nowhere. Their realism is the acceptance and final submission to the barbarian attack of capital. Our own realism is the realism of modern needs which can be fulfilled. It is the realism of collective action, which defeats the rationale of the "lesser evil" and of the minimum expectations. When following this path along side with our people, our youth is gaining power, determination and experience thus being transformed to the youth of revolution. Following this path, it is capable of confronting the dominant ideology which presents that the exploited are in partnership with the exploiters. That wants the youth of the popular strata to learn to think just like their bosses. To accept “entrepreneurship” as a motor force of social progress. To strengthen in their consciousness that the class of the bourgeoisie is not only useful, but “necessary”, supposedly irreplaceable in society. Not to learn the class-oriented truth, that all the produced wealth is a result of the social labour of the exploited, and its overwhelmingly big part is accumulated in the hands of a completely parasitic class, now historically useless, for the production. This is the biggest unfairness, proof that the capitalist development cannot be “just”, as SYRIZA mocks. This is the biggest unfairness, and it does not change even if the wealth is increased, even if the pie grows, just as New Democracy (ND) also lies about. Because the pie many times in the past grew, but the workers only got breadcrumps. Because the profits never and nowhere are equally shared between the capitalists and the workers, the salaried in general, the capitalists take them even from the self-employed through various channels. Social unfairness and its causes form the real dividing line in society. And this is what the system tries to conceal with the glorification of the individual path. It promotes some individual rights, in conflict with the total of social rights, because it wants to conceal that the majority of the youth is the new shift of the working class. That it can claim its future, its social and individual rights, only if it sees why and who deprives it from them, how and with whom it can conquer them, meaning with social terms and not only as a sum of individual efforts. SYRIZA with the “equal opportunities” and ND with the “many opportunities”, have distorted the context of the word “right”, they have deleted the “social right” from their vocabulary. The rights were transformed into “opportunities” for the few. The rest will have to manage with charity and poverty benefits. “Your death my life”, “live your life and let the others die”, that’s what they say to the young people. All system’s staff work so every young man and woman stands alone in life and their problems. In order to prevent the youth from choosing the path of class organisation and struggle, of true confrontation, which is the only path than can lead all the youth to a bright new society. And in order to achieve that, they name as “confrontations” whatever suits them. In order to undermine the true ongoing confrontation. They slunder or deride the class organisation and struggle, they even call them “outdated”. They present as radical measures even minor political changes, which not only do not challenge but favour the power of capital, while they promote as “anti-systemic” political forces, which, with their views and actions, not only they do not block the barbarism of the bourgeois class, on the contrary they participate in the estrangement of the youth from the peoples’ revolutionary struggle. They do their work, and we have to do ours. We fight against the multifaced attempt of the enemy to twist the meaning of confrontation, of the struggle, of the fight. To widely promote the genuine struggle against the system. To cancel the obstacles of the system. The workers, the unemployed, the toilling people do not need to look hard to find differences between the programs of SYRIZA and ND, as those where presented in the Thessaloniki International Exposition (TIE). They do not need to look hard because those differences are few and unimportant. The “just” development of SYRIZA and the “development that doesn’t leave anyone behind” of ND, is the capitalist development that is built on crushed salaries, unacceptable working conditions that ND-PASOK and SYRIZA created during the Memoranda era. On top of everything they both hide that a new crisis is close. The debt is accumulated in a global scale, profitability is low, a new highly profitable sector is yet to be discovered and the imperialist centres resort in the economic tools of protectionism -like those implemented by Trump- in order to protect the profits of their monopolies. As a result the problems increase. The breakout of a new, deeper crisis of overaccumulation of capital is real. And that prospect, that is the crisis to affect even more the global economy, becomes dominant. In particular the big openess of the Greek economy in sectors that may be challenged by a global crisis, such as maritime and tourism, could end up being the “Achille’s heel” of the future capitalist growth. A generalised international crisis may negatively affect the Greek economy disproportionally to other economies. Our country is already exposed to the uncertain future of the Eurozone due to the increasing opposing interests of the major players in the EU. With the confrontation amongst Italy, France and Germany beeing at the epicentre. In the meantime the growing participation of our country in the NATO and the US military plans in the area increase the chance that the plan of a peaceful, long lasting economic growth goes up in a smoke. That is why the promises of the government for relief measures are faulse, to say the least. Those are just general promises for which we do not know either the exact outcome or even the existence of at least an outcome. Who legalised workers’ “slave offices”? Who paved the way for redundancies? Who abolished the Sunday closing? Who dared to attack the most important right of the working class, the right to strike? They now have the audacity to mock by saying that they are going to increase minimum wages, by deploying one of the most antilabour laws of ND and PASOK, the Vroutsi’s (ND minister of labour) law which aligns minimum wages with capitalists’ profitability and competitions. This law abolishes collective bargaining for the minimum wage, being defined through a ministerial order! Mr Vroutsis, the ND ex-minister of labour, even noted that this decision of SYRIZA makes him feel he is proved right. This demonstrates the scale of SYRIZA’s and ND alignment. Even if they give some crumbs – provocation for the working people, for pre-election reasons, these offerings will be overwhelmed by all the other anti-people’s measures, like the drastic lowering of the minimum income for taxation. If the Government wished to really increase the minimum wage, it would vote for the amendment that the KKE put forward in the parliament, which restores the minimum wage to its previous level of € 751. Only this would have been a real increase! Now, Mr Tsipras and Mr Mitsotakis (ND leader) remembered the disgrace of the hyper low level of the minimum wage, which permitted the employers to aggressively exploit young boys and girls. Really, isn’t it ND that introduced this law? Isn’t it SYRIZA that implements it as a Government over the past 4 years? They are caught lying again. They are not worried about the young people. They have in their mind the big bosses. Because the shame of the labour jungle for the youth has many facets: part time work, flexible work schedules, apprenticeship. It is basically the non-paid work which applies for the thousands of young trainees and even more. All those working almost for nothing, just for a few euros. Really, whom they think Mr Tsipras and his minister of labour are mocking when they talk for the restoration of collective agreements? Whom they are talking to? Aren’t they the ones who for the last 3 ½ years are implementing the laws which permit the employers to avoid the implementation of the collective agreements? Don’t they know that because of their laws, only 10% of the working force is covered by a collective agreement? Are they not aware of the strikes that have been declared illegal because of their laws? Which free collective negotiations are supported by ND? Those that they turned out to be obsolete and useless? What is the social security system that they negotiate with employers? Is it for the one promoting “profitability” and private insurance, having the blessings of the EU and the OECD and being the core of the Katrougalos’ law, as well as of the “Pinochet plans” as mentioned by ND? Their differences lie in the methods used for stealing the working class. Whatever is not taken away by SYRIZA with the tax robbery and the housing taxes, is taken by ND with the major cuts in social spending, health and welfare. At the same time, they both promise new tax and contribution exemptions and new incentives for investors and capitalists. Everything is put at their disposal immediately. When SYRIZA and ND are talking about investments – which SYRIZA will “take off” and ND will “shoot them at the sky” – why they do not say to the unemployed what they are offering to the capitalists in order to invest in our country? SYRIZA & ND assure the capitalists that the memoranda terms will remain in force and the ruins of the working rights will remain ruins. the capitalists will ensure their profits. That is why SYRIZA enjoys the support of capitalists. Capitalists cannot find a better representative. In the recent 3 1/2 years, SYRIZA managed to implement all those measures that ND and PASOK, on their own or united, did not dare or did not manage to implement for decades. Of course, capitalists would have no problem with a ND government, they are always ready to put the ‘Plan B’ in action. When one government bankrupts, the other one is ready to take power, to implement even worse measures against the people. SYRIZA advertises to capitalists its capability to manipulate and entrap people while ND advertises its commitment to reforms. For their commitment to the NATO and USA they do not even argue. It is given and non-negotiable for both. In the USA dominated Thessaloniki International Expo (TIE), both SYRIZA and ND officials accepted the title of a “geopolitical hinge” in the region, by the peoples’ murderers. Mr. Tsipras is very proud for the title that the American Ambassador gave to Greece. At the same time, ND has no objection and is aligned with SYRIZA and KINAL (Movement for change- alliance PASOK, The River, DIMAR, Democratic Allignment) to the objective of the geostrategic upgrade. The geostrategic upgrade has nothing to do with the improvement of the interests and rights of the people. Also, it has nothing to do with peace, solidarity and friendship of the peoples. It is about the improvement of the Greek bourgeois class, its participation in the sharing of markets, sources, energy and transportation roads. This consequently leads to the increase of all dangers and risks and further involvement in imperialist wars and interventions. As SYRIZA-ANEL became a flag-bearer of the US and NATO, the risks in the region, the Balkans, Aegean Sea and the wider region, are escalated and are not prevented. The USA have often been interested in investing in Greece. The first time Americans invested in Greece was after the World War II, with the Marshal Plan and the second is now with the investments they are planning in shipyards and other industries. After the World War II, the US investments targeted the Soviet Union and its influence in the Balkans. Now, they target Russia and China and their strategic interests in the wider region. Our people must know the risks because SYRIZA-ANEL engage them even more deeply in the plans of imperialists. Neither their programs nor the false separating lines between SYRIZA and ND can hide the fact that they both serve today’s barbarian capitalist road. Our people cannot have anymore rescuers, extortions and dilemmas. Then, it was the “NO” of SYRIZA and “YES” of ND in the “fake” referendum that was turned into a “YES” to everything. In this procedure of reforming the bourgeois political system, it is easy for party members to move from one party to another, as they are similar. Since SYRIZA and ND agree to important and crucial issues, they are trying to create imaginary division differences, they reuse fake dilemmas of the past. Really, is it progressive to say that you will make more fair the unjust law of ENFIA? Is it progressive today for the US Ambassador to visit ministries and universities while SYRIZA has made the US Embassy a second home? Is it progressive to claim that pension cuts concern only a portion of pensioners that are above 70 years-old, so consequently it will be erased as time goes by? Do they really expect them to die? Do not try to find the differences. You must make the difference by strengthening KKE. We can move forwards, we can do so much, only with a strong KKE. To put obstacles to the anti-peoples’ policies of SYRIZA, with which ND is in agreement. To strengthen the fronts of resistance and of claims of the contemporary rights of youth and employees. To make them fill helpless; Governments and parties that implements the SEV (employers federation), shipowners and bankers requirements, that crash our dreams and life. To strengthen our struggle against our country’s involvement in the war plans of the NATO-USA-EU. To strengthen our opposition to imperialist wars and their causes. To put as a first priority the modern needs of our people and youth. All those can be measured through the strengthening of the KKE. Because the KKE is a force determined never to quit its post at the forefront of the working class and youth struggles. Because the KKE has no cties with businesses and millionaires like the other parties have. The KKE has no ties with the EU, USA, SEV and NATO, as the others have. The KKE is the force of the workers and the salaried, which can destroy the plans of the bosses. The KKE is the force of the self-employed because it promises to them humane working conditions, leisure time and vacation time which now they cannot afford. Because the KKE is not twisting its words and flattering the electorate to gain votes. On the contrary, the KKE reveals the great picture. It shows the only path in favour of working class interests, and the overthrow of the capitalist ownership and power. Because the KKE has a program, organisation and a plan leading to a higher form of organising the economy and society having as a “steam engine” the satisfaction of popular prosperity and not the profits and the privileges of a handful of exploiters. Because it reveals that the rationale “nothing can be done, nothing changes”, is the biggest lie that of course benefits the exploiters and their power. Everything changes, everything can change. Everything can be done, as long as it is decided by the only one matter, the people. Because the KKE and the workers’ movement are the only ones who can send the looters, murderers, Nazis of Golden Dawn where they belong; to the trashcan of history next to their idols, Hitler, Mussolini, Metaxas and Papadopoulos. 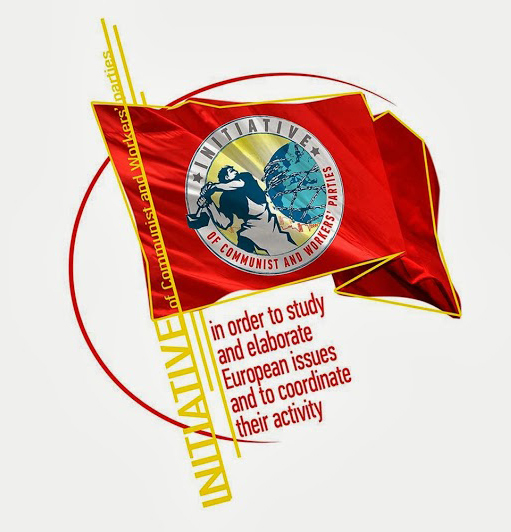 Because at the moment when everyone teaches the youth to learn to live with “opportunities”, the KKE shows the contemporary needs of young people, it struggles in order for them to be satisfied today, so that the standard of living can correspond with the great development of production and science. Because the KKE reveals the real and big culprit for the problems and impasses that the youth faces: the capitalist system, which is what all the other parties worship. Because the new and contemporary, a life with contemporary rights and real freedom means above all, the overthrow of today’s corrupted capitalist system. This is the path the KKE follows relentlessly. This path leads to the clearing in favour of the people’s majority. Tonight here at the Festival of the 100 years of the KKE and the 50 years of KNE we meet again with many of you. Who say to life the great YES. These children come from far away, they are headed far away”. We meet again with you who all of these years held in your hearts the red handkerchief of KNE. Who stood with respect on the side of the militants of ELAS, EAM, DSE. That you have marched during your university years with the carnation of Panspoudastiki at the lapel, with this red carnation we can meet again at our rallies. You were shocked by the murder of Sotiria Vasilakopoulou outside the gate of ETMA. And the fact that the capitalist exploitation even kills, has never left your mind. With you who contributed for the solidarity with the peoples who were struggling with the gun in their hands in Vietnam, Nicaragua, El Salvador, with the slingshot in Palestine. Who supported and continue to support the people of Cuba, all the struggling peoples of the world. We meet again with all of you, who still quietly sing “The tree-To dentro” by Manos Loizos, especially the verse that says: “but it does not bend and it keeps spurting foliage”. These are the songs that you taught your children. “ I, myself had my reservations sometimes – not for the strategy- but mainly for the hunt of the possible. But whoever has read History with passion, will notice that at least over the past 40 years, even radical left forces that in the beginning were chasing the possible, all over Europe, were either incorporated completely in the system or marginalized. As a result: They denigrated the dream even more, and thus, turned the average citizen, who in capitalism, because of the daily bombardment of by-products has a decreased political consciensness, to the extreme-right wing, with a result the nightmare to come back. The KKE is the only party – I can say this unreservedly- that does not create illusions that in the barbaric capitalism, especially today, things can become better. I definitely support it”. 100 years KKE- 50 years KNE. Yes, it has been a long road so far. And we can walk on this road together again. With the red handkerchief of KNE, we can hold on again in the struggles. With the red carnation we can meet at the work places, at the neighborhoods. We will meet again, at the great struggles that we have ahead of us. At our rallies and events. At the elections in the trade unions and the unions of our workers’- peoples’ movement. At the upcoming parliamentary elections. At the municipal and regional elections. Making KKE much stronger everywhere. We will meet again, at the big popular rallies, at the popular, great red stadiums, of today and tomorrow, of our happy future.